Found deep in the DNA of Cava Menzies is a long line of musical talents. Her grandmother was a dancer at the legendary Cotton Club, and her father, Eddie Henderson, was a jazz trumpeter and member of the Herbie Hancock sextet. Also, her mother was a classically trained flutist. 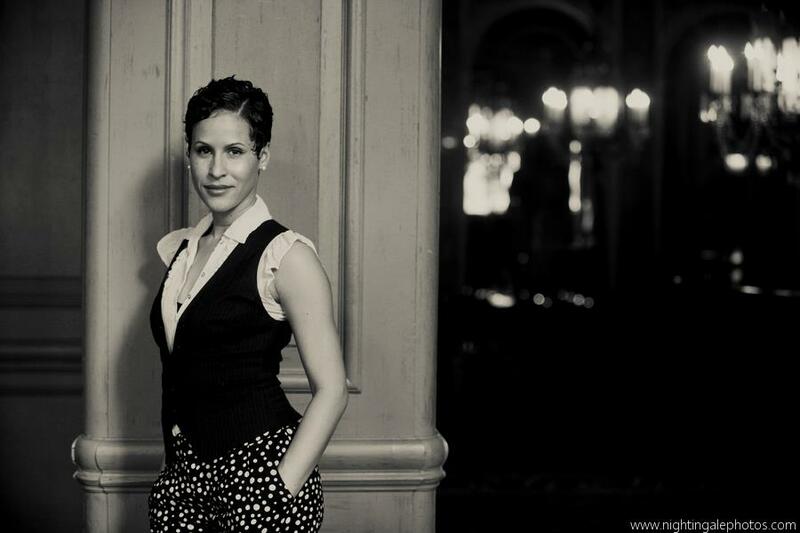 Menzies, a classically trained pianist, has performed throughout the Bay area and abroad. Her day job, includes teaching music to kids in grades 6 through 12 at the Oakland School for the Arts, where she chairs the vocal department. Menzies’ new album Moment to Moment, collaboration with trumpeter Nick Phillips is more than an album of ballads, it transports their listeners to a space where they have a moment to breathe. iRockJazz: What was your first exposure to music and your early musical experiences? CM: I have an amazing legacy and family history in Jazz. My Grandmother was a dancer. They were the Brown Twins, Hilda and Vivian, and they danced at the Cotton Club. My Grandmother was Lena Horne’s roommate. They were Socialites in Harlem during the Harlem Renaissance. They also had all of these incredible Jazz artists over. I have incredible old pictures of Cannonball Adderley, and Miles Davis, and all other types of folks in Harlem. My Dad was raised in New York and San Francisco. He met my Mother at a club, Key Stone Corner.,it was an old Jazz club that’s not there anymore. I’m biracial. My Dad is Black and my Mom’s White. My Mom loved Jazz. She was originally from Madison, Wisconsin and worked as a waitress in a Jazz Club where my Dad played. They hit it off instantly. He bought her pie and coffee, thus, the beginning of our family history. Unfortunately, my parents divorced and my Dad moved back to New York. I was raised by my Mother. My musical upbringing as a kid was one hundred percent from my Mom. She was a music lover, a flutist, and went to the San Francisco Conservatory. My Mom put so much music in my life at such a young age, which included quite a variety. She exposed me to some classical, as well as Jazz as well as some moody interpretive music. She always had music playing at the house all the time. iRJ: Did you take formal piano lessons, if so, at what age? CM: At 5-years-old, my Mom enrolled me in piano classes. She would sit with me every morning before I went to school. Much to my chagrin, I fought with her about the piano. At the same time, I was studying the piano, I was incredibly moved by the work my Dad was doing. I found myself keeping track of his records as he was releasing them. I didn’t grow up with Jazz other than hearing it. I didn’t fall into Jazz until I was a teenager. It wasn’t accessible to me in the area that I grew up. iRJ: How difficult was it to live up to the standards that were placed on you by your mother and father considering they were such musical legends of their time? CM: It’s not difficult. I believe that each musician has his or her own voice and his or her own purpose. If anything, it has served as an inspiration for me. My Dad and his work ethics and his contribution to Jazz continually motivate me. It’s not intimidating. I also know that people have to make their own mark. My Dad has done all these extraordinary things, but it’s up to me to really do the work and make my mark musically. I put that responsibility back on myself. iRJ: As a music educator, how do you prepare your students beyond music as a demonstration for life skills and job skills? CM: Our program, which I am really proud of, is a performing arts school in Oakland, California, called Oakland School for the Arts. I chair the vocal department there. I find it interesting. I play piano in terms of my own artistic craft, but I really value life skills and character building equally as much as the musical skills I am building and giving the students. We have so many talented students that walk through our door. They have all of these amazing gifts, but I also know that that’s not enough. In terms of being successful in this industry, it really is based on your character. It’s based on your determination to persevere even when you have set backs. It is about commitment to your craft and your passion for what you’re doing, above and beyond the talent you’ve been given. We spend a lot of time developing leadership, discipline, and responsibility. We also focus on what responsibility to have as a young artist; and what roles do artists have in the world. Also, we have these voices and are able to speak on things that are important. I am helping kids find their voices. That’s actually our school motto, “Find Your Voice.” I believe that all of that is equally as important as the music theory, harmony, and dynamics. iRJ: Artists are weaving all music genres from Hip-hop, Afro-Cuban music, and other forms of Latin music in the creation of a new Jazz sound. How important is that break from “traditional” Jazz sound to this new Jazz fusion? CM: I think that it’s incredibly important and it’s something that I love. I am not a purist in terms that music has to sound a certain way. If anything, it’s a reflection of what is happening in the world with all these barriers being broken down between countries and cultures. It is really quite amazing to see how many different places where artists are getting their influences. Just because you are a Jazz artist doesn’t mean that you only listen to Jazz. Just because you are a hip-hop-artists does not mean that you only listen to hip-hop. If anything, it’s paying homage to different traditions and cultures and the fact that different artist are blending them together. To me, this is a tribute to the power of music and how it can translate no matter what the genre. 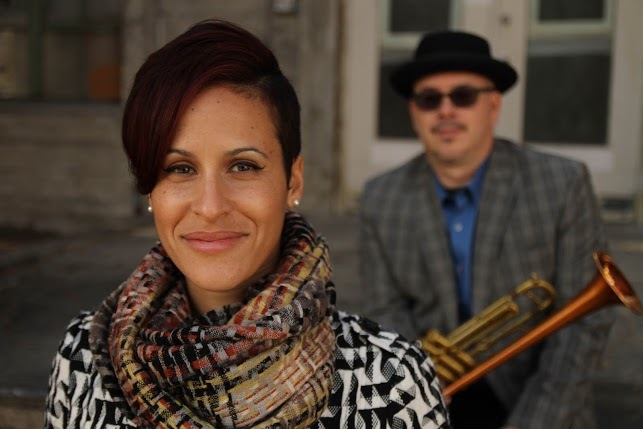 iRJ: How difficult has it been being a biracial woman in the male dominated industry of Jazz? CM: Being biracial really doesn’t come into play. I’ve really loved being biracial because I have gotten to see both sides of everything, which includes different perspectives in my life’s experiences. In terms of being a woman in this industry, it is pretty much on my mind, in general, through my job and music. Things come up from time to time. It’s something that I am not dwelling on nor advertise as a woman or feel disgruntled. Sometimes it gives me pause. Sometimes when I’m a bandleader or running a rehearsal and I’m assertive at times, that can be misconstrued as you’re being bossy. Some say, “why don’t you settled down and relax.” The comments can get under your skin. I think that the bottom line is, if you’re confident and have a good sense of yourself and a good sense of purpose in what you are doing, all that stuff falls by the way side,and the music speaks for itself. You also learn to pick your friendships and the people you collaborate with accordingly. It is also important to make sure that you are collaborating with people who are respectful. More often than not, I am encountering respectful musicians especially in a craft like Jazz. iRJ: You’re a vocalist and a pianist, where do you find your greatest love? CM: Piano playing is my main love. It took me a while to come to that. There are aspects of voice that I take into my piano playing. iRJ: One of the favorites on the new album was Mal’s Moons, How did the collaboration with Nick Phillips come together? CM: I had a regular restaurant gig in Berkeley. The bassist recommended Nick and he played trumpet on that gig. Right away, I noticed he had a human sound to his horn. He was so creative with the tones that he was getting that we were playing off each other and having a conversation strictly with each other. I have never made that connection with another artist. You can play and groove together, but there is something else that happens when you met someone who you actually resonate with. It is the voice and message you are trying to get across. The cool thing is we both felt it. Through the solos, we were communicating back and forth,feeding off of each other, calling and responding. He inspires me to play differently than I would just on my own. iRJ: You were born in the Bay area, how much of your music has been influenced by the Bay area? CM: A lot. I was born and raised in the Bay area and there is something magical about it. Being on the Coast, driving up in the Oakland Hills you can see the Pacific Ocean and all the bridges, the beautiful melting of all this natural beauty and incredible landscape. There is also some urban environment in Oakland and San Francisco. I am always thinking about those kinds of things,, where the natural beauty and the urban environment intersect I think that influences my playing. iRJ: What’s on the horizon for 2014? CM: In 2014, we’re still in the process of promoting our album. The album release is January 2014. We have our CD release party at Yoshi’s Oakland February 17. From there on, we’re doing gigs and trying to spread the word, the message about the album and performing. I am always thinking about the next project. My goal for myself has always been to have a project per year, an album a year, to keep my creative juices flowing. It’s important that I make these goals for myself and keep them, because time slips away.